As far as fashion items go, scarves aren’t usually subjected to the ups and downs of the trend cycles as others are. Perhaps it’s the limitations of the piece; there’s only so much you can do with a long strip of fabric. But every so often, an innovation comes along that catches on like wildfire — and Winter 2017 is officially the season of the puffer scarf. 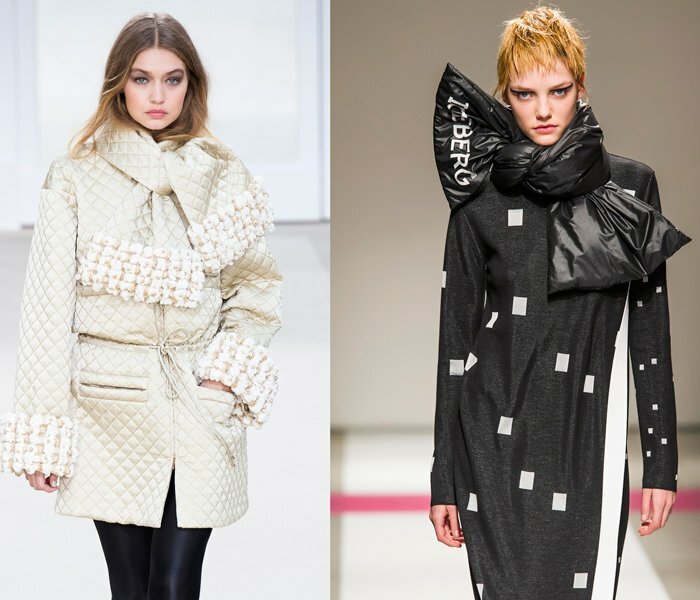 It all started at the Fall 2016 shows when designers like Iceberg, Chanel and Balenciaga included puffed, padded and quilted neck warmers in their cold-weather offerings. 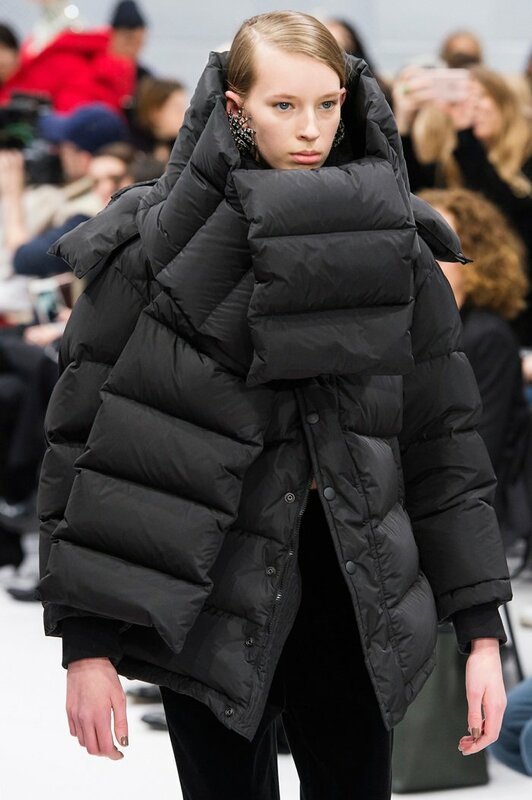 Balenciaga, in particular, committed to the trend with gusto, sending more than one oversized, exaggerated puffer scarf down the runway. Suffice it to say, if Balenciaga does it, it’s a thing. Cut to the current winter season and the market is all but flooded with affordable interpretations of the newest neck adornment. The infinity scarf? It’s but a thing of the past. The pull-through puffy style is the new must-have. With puffer jackets having a major moment in general right now, it makes sense that the trend has spilled over into the accessories arena. What may be surprising is the variety of options on offer now. Everyone from Maje to LOFT has a version of the puffer scarf, ranging from solids to leopard prints to metallics, in subtle to more dramatic widths. You can even score reversible styles and textures, including velvet and faux fur. There truly is something for everyone. So if you’re ready to stick your neck out for the next big thing, click through the slideshow below where we’ve shopped out 13 of the best puffer scarves you can snag now.